Another Look at the Adidas Yeezy 350 Boost "Moonrock"
As the November 14th release date approaches, more and more photos are surfacing. Above, are some of the most detailed and accurate (in terms of color) of the Adidas Yeezy 350 "Agate Gray/Moonrock". The sneakers uses a very interesting tonal color palette and feature all of the details as seen on past Yeezy 350s. Stay tuned with SneakerShouts as the release date gets closer. Below are buttons to the "Online Links" and "Official Retailers List". 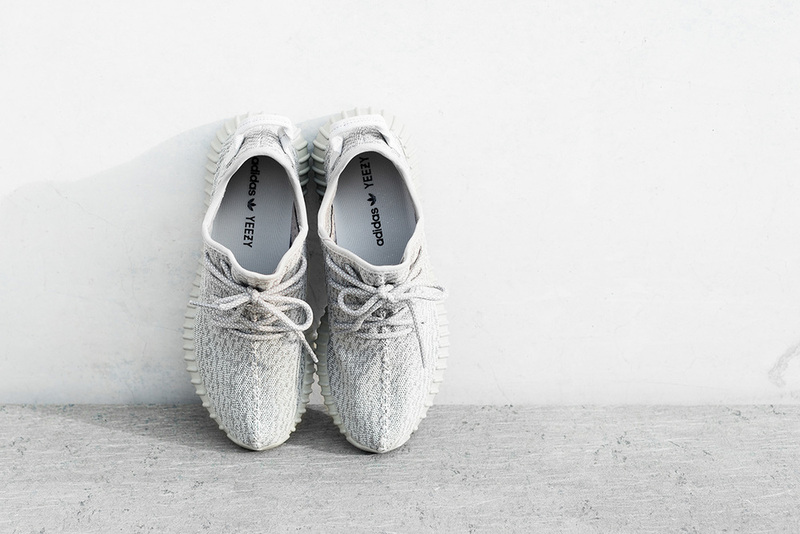 Online Links for Yeezy 350 "Moonrock"
Official Retailer List of Yeezy 350 "Moonrock"